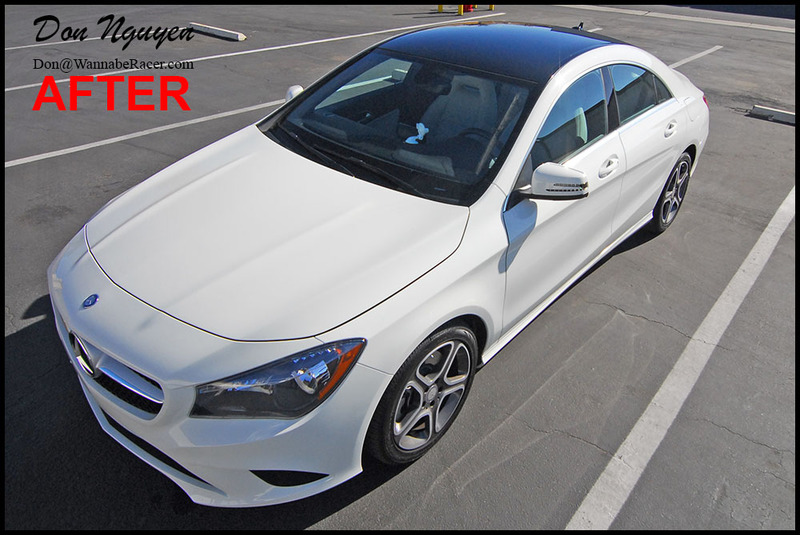 I forgot to take pictures for the before for this white Mercedes Benz CLA 250 sedan, before wrapping the roof of the car in my gloss black vinyl material. We went with the gloss black finish car wrap for his roof to give it the panoramic roof look. The owner of this car was from Brea and drove out to me in Anaheim Hills/Orange County to have the car wrap done for his roof. 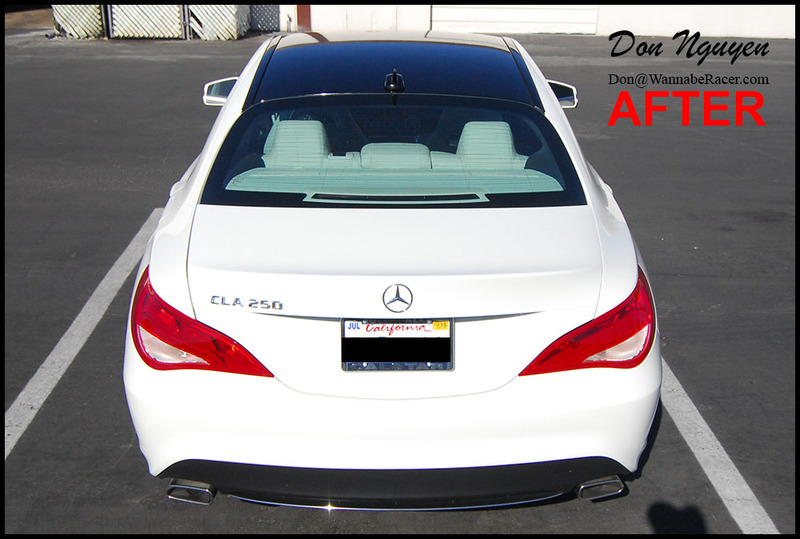 Since there was no sunroof on the car, the roof wrap provided a continuous clean look from the back of the roof of the front of the roof.